Join us at Gorrono Ranch for closing day festivities all day. 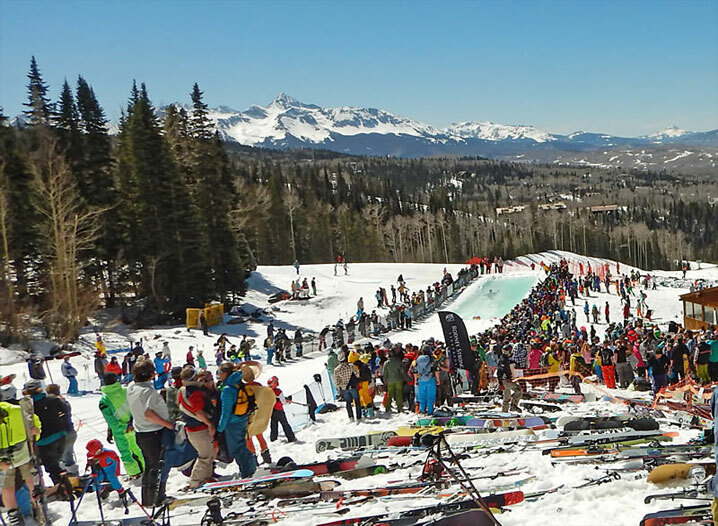 DJ Soul Atomic will be getting the party started at 12 p.m. while the pond skim goes on right next to Gorrono Ranch, registration for the pond skim will be from 10-11 a.m. and we will accept the first 100 people to register. It’s an event you won’t want to miss if you’re competing in it or just coming as a spectator. It will be plenty of fun for all! Immediately after the mountain closes, a concert in the Mountain Village Heritage Plaza will be keeping the party going.